Get MusicBee, you will never go back. And it's free! Play your music the way you want. 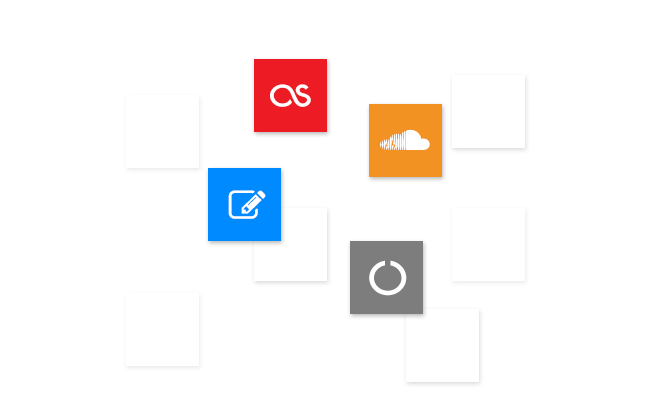 Turn your computer into a music jukebox. Use auto-tagging to clean up your messy music library. Enjoy a great music experience with MusicBee. 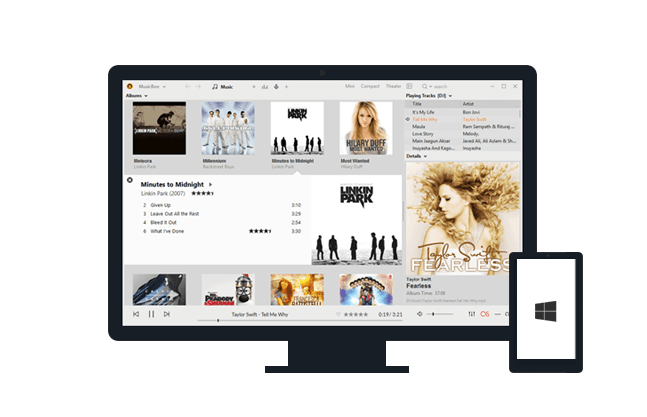 Whether you play your music on an audiophile setup or on a laptop, MusicBee is designed with features to fulfill all your needs. 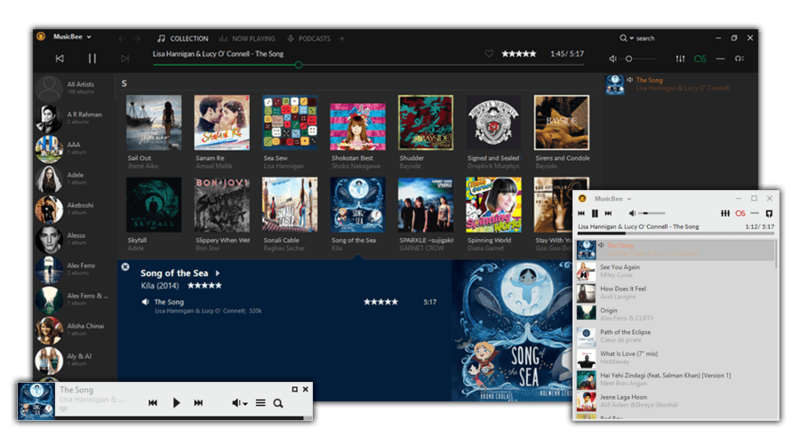 Change the appearance of MusicBee by choosing from the included skins or download more from our Add-on section. Skins are a great way to personalize MusicBee to your liking. You can also make your own skin and share it with others. Sync your music collection with devices you use. MusicBee supports playlist and podcast syncing, even supports audio books with 2 way syncing. Convert formats on the fly if your device does not support certain formats. You can also sync your Android and Windows Phone (8.1+) devices. 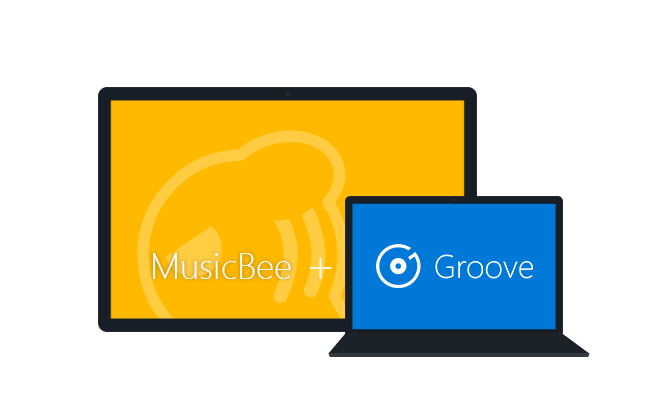 MusicBee has native support for Groove Music (formerly Xbox Music). You can stream directly from MusicBee or add to your existing playlist, get song recommendations from the vast Groove catalog. Want to listen to a song before buy? You can listen to preview. 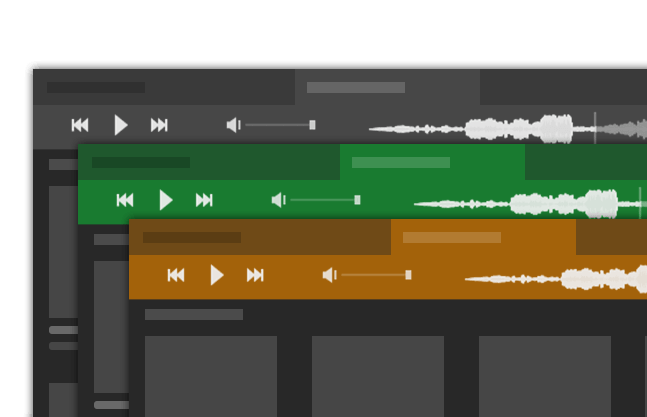 last.fm, CD Ripping, Tagging tools.... plus more! MusicBee packs a comprehensive set of features to make your music experience better. Yet it is one of the most lightweight player using about 25-70 MB ram* with skins and add-ons, and packs all of these under 10 MB! 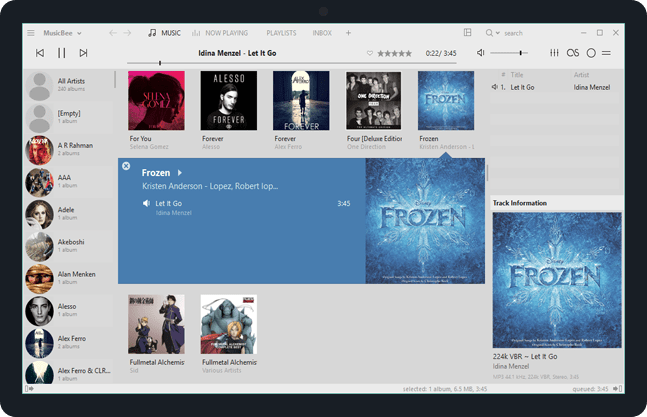 *Tested with MusicBee 3 with a library of 200 albums, sized around 3GB. 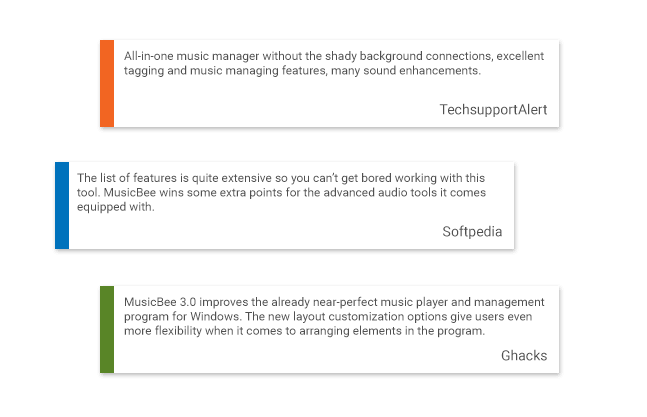 MusicBee is rated one of the best music managers and players available for Windows. It packs features that will WOW you. We have a dedicated thread for users to share their experience or check reviews from trusted sources. Start using MusicBee today. You will never go back.